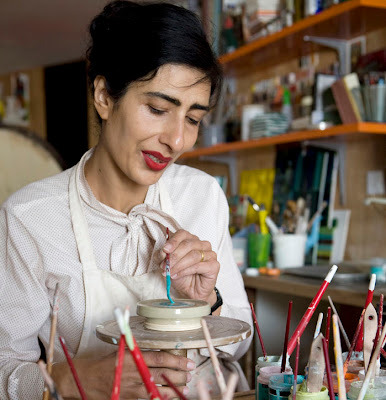 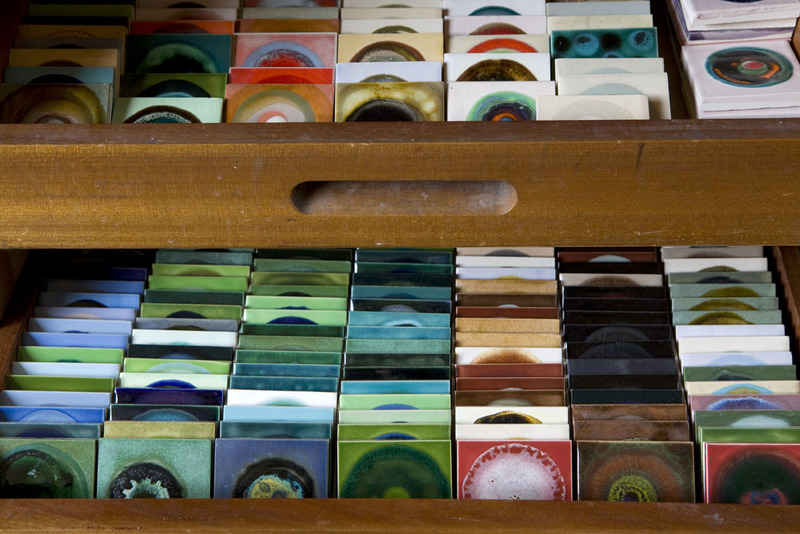 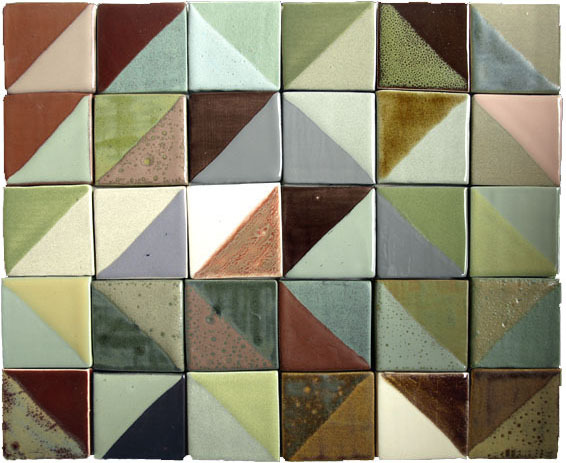 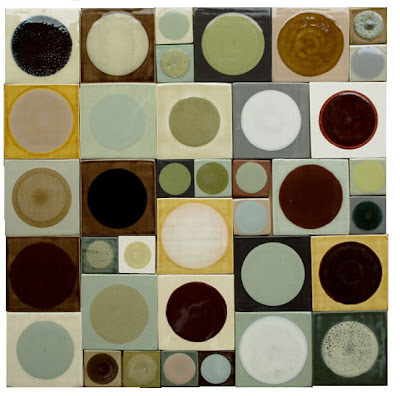 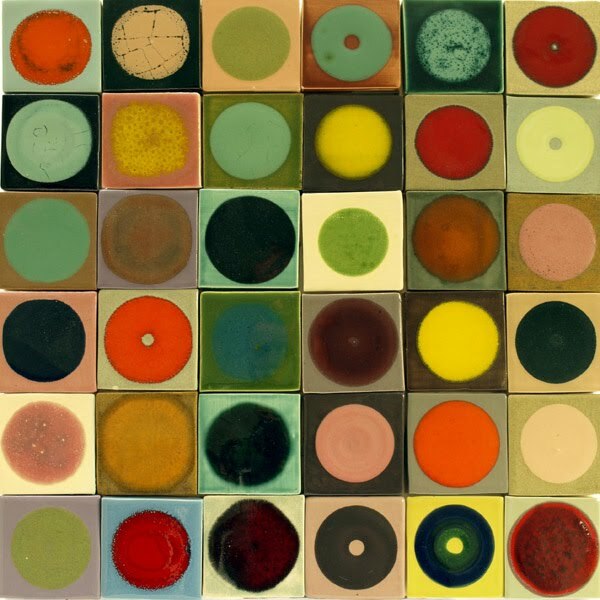 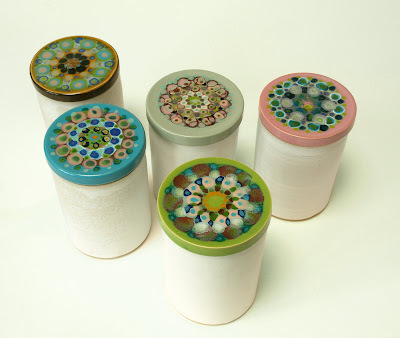 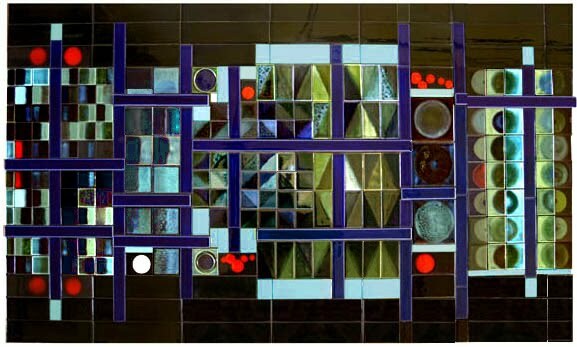 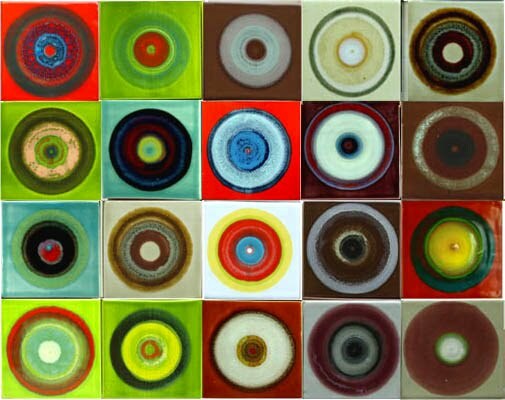 Beautiful tiles from Lubna Chowdhary. Above and below 'origami'. And 'Cipher'. 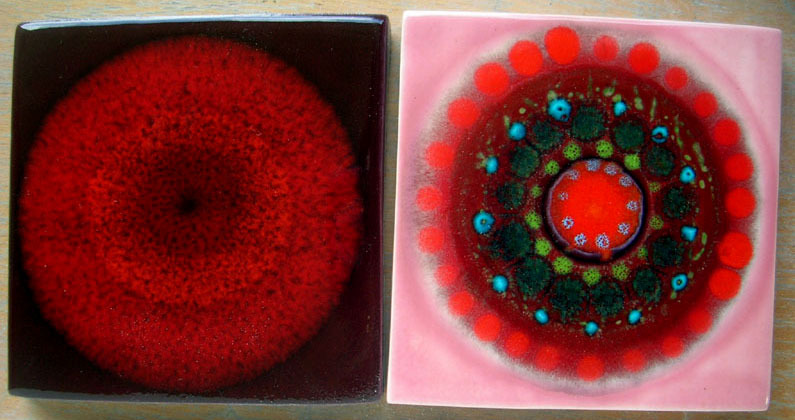 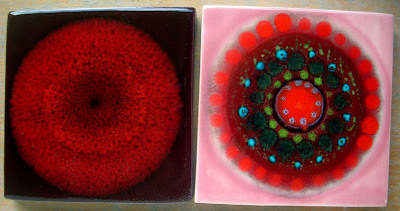 I think she has great sensitivity to colour and these are just beautiful. Prices and sizes online.